Nagavalli’s parents find a way to educate her despite all odds. Nagavelli Srilekha is from a poor family. Her parents were daily wage workers and they never had enough money to get by. Nagavalli often did agricultural work to earn for her family as well. Nagavalli’s parents did not want their life for her. They wanted her to have an education and build a better future. But they could not afford her fees and did not know what to do. RDF learnt about Nagavalli and decided to support her. They put her on the Fee Exempt list in the school and paid for her education expenses, simultaneously seeking donors to support her education. When her father passed away, Rural Development Foundation found donors who would contribute the money required for her to continue in school. They were able to get long term sponsorship for her, which greatly eased the financial worries of her mother. Since 1996, over 3000 families have been impacted by the work of RDF. Parents and villagers also support donations in cash and kind to the schools when they can. They actively take part in school discussions on key decisions. Nagavalli is now confident about her future and cherishes the dream of becoming a teacher. Your help will give families a chance to break away from the cycle of poverty. Give now so children like Nagavalli get the future they deserve. You can give with confidence because every program on our platform is GIVEASSURED. RDF school was set up in 996, in order to bring literacy and education to poor rural families Kalleda, Telangana. RDF schools embrace a holistic learning philosophy and invest a lot in teacher training and skills development in children. A specialized curriculum is developed by Silver Oaks School, Hyderabad. 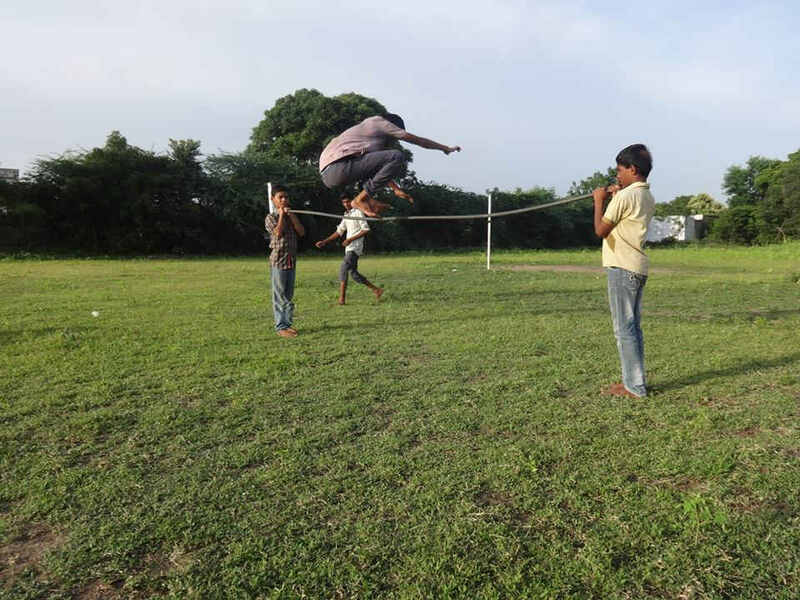 In addition, a Sports Development Program, and Social Awareness Program aimed to build life skills is provided to help them become financially independent and break the bonds of poverty Along with free education, the school also gives the students free uniform, books and all the supplies required for the children. The Rural Development Foundation (RDF), is an Indian nonprofit organization with the mission of providing quality education for underprivileged rural children. They founded and continues to operate four schools and one junior college in Telangana State, taking a unique holistic approach to education through innovative programs and methodology. Rather than using the conventional method of rote memorization, they focus on cultivating critical thinking skills and encouraging students to understand and apply concepts. They do this through special programs such as Social Awareness, Youth Empowerment, Student Leadership, and Sports. They strive to develop students who will become empowered leaders of their communities, thus working towards the vision of a transformed and prosperous rural India. Their schools strive to create India's future leaders, people who not only respect their rich, cultural heritage but are also ready to lead their country into the future. Their constant endeavor includes their sincere attempts to inculcate into young minds a civic sense and social responsibility. Beginning with a humble enrollment of 80 students, the number of children attending RDF schools has increased to 1900, as more villagers enroll their sons and daughter in the schools. Kalleda High School organized fun games and contests for all the children on the occasion of National Mathematics Day in December. The life and achievements of Maths genius Srinivasa Ramanujan were discussed during morning assembly, along with the importance of Maths in daily life. The cultural event called Bala Mela is the culmination of cultural, literary and sports-for-fun activities and almost all students participate very enthusiastically in these programs. RDF schools also balance the advancement of web and mobile based gaming with traditional games. Games such as Karra Billa (Gilli-Danda), Ashta Chamma (ancient board game), Naela Banda (Oonch-Neech), Vaikuntapali (Snakes & Ladders), Donga Police (Robbers & Police), Goti (Marbles), Cycle tyre races and 4 stones are actively promoted and played in RDF schools. Children, along with some teachers conducted a ‘Social Awareness Program’ on the issue of Child Marriage, and Alcoholism. Through focused activities, they got the participants thinking about these issues and how they can be resolved within their communities. Besides education, the RDF students are excellent in sports. Many students participate in the district and state level competitions and a few of them at the national level. Six of our students played for the district Kabaddi tournament held at Warangal and Master Rajesh went to New Delhi to participate in the National of Taekwondo and won medals. This program is fully funded because of donors like you.